Are you spending home improvement dollars on the wrong door of your Keller home? How often do you use the front door? Not often, right? When Keller Homeowners come home from work or school, the front door now takes a back seat to the garage door. While the front door has been the traditional focus of homeowner in both Keller and throughout the US, this major paradigm shift means more homeowners are investing in impressive garage doors with substantial curb appeal instead of front entry doors, which are used less and often shrouded in shadows. Survey's suggest that your Keller home's garage door is indeed the door used most often to enter. In fact, a significant amount of US homeowners with garages say the garage door is the primary point of entry into their home. The front entry door is used so little, many homeowners no longer even carry a key to that door. The new house key to today’s home is the remote control to the garage door. Real estate agents used to tell people that the front door is the most important element to spruce up, because it’s the first thing visitors see. Yet with the Garage door being significantly larger, that notion may be outdated. 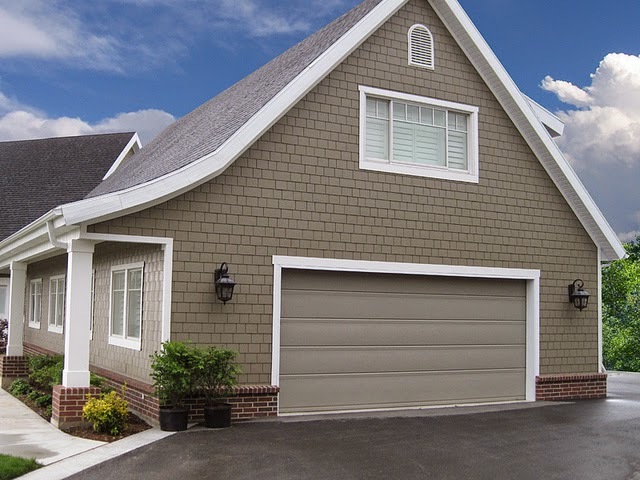 While the garage door is significantly larger, research shows it’s also more affordable. The average installed garage door sale is only about $1,500, while a much-smaller fiberglass entry door runs about $2,800, according to studies. These studies also suggest that the cost of an upscale garage door was only $2,800 compared to $7,300 for an upscale front entrance. This new information may give Keller homeowners the chance to focus on their Garage door while simultaneously saving money and increasing curb appeal. The last 10 years have seen manufacturers introduce an unprecedented variety of dynamic new garage door styles. 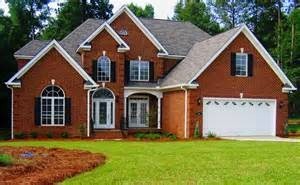 It’s now common for garage door dealers to offer dozens, if not hundreds of carriage house designs, the hottest new look. Visit many of the manufacturers in North Texas to see a wide variety of new designs. Today’s garage doors are widely available in durable low-maintenance steel, and some new steel doors have a paint finish that looks exactly like real wood. Besides steel, the industry also offers innovative designs in aluminum and fiberglass. 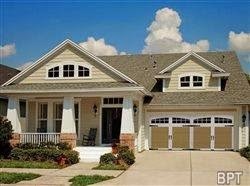 Gorgeous custom wood garage doors are also available as a premium choice. If you've sweltered throughout summer and have noticed your cooling bills increase every month, now may be the opportune time to consider some home improvement upgrades that will let you better manage your HVAC equipment while lowering your monthly expenses. Building industry experts suggest that creating a comfortable home shouldn't mean homeowners have to compromise on which upgrades they complete or the materials used. Smart home improvement investments can mean Keller homeowners are better protected from the elements while creating a greater level of comfort. There are three key home improvement upgrades that homeowners can do to improve the quality and comfort of their home. 1. Windows and doorways can account for up to 20 percent of the air escaping from the average North Texas home. This significant amount of air leakage can often mean HVAC equipment will work overtime to compensate - meaning an increase in monthly expenses. Replacing your existing windows and doors with newer energy efficient options can mean better energy efficiency resulting in lower bills as well as increased comfort. If your budget is tight, energy efficiency improvements such as weather-stripping and caulking to existing windows can also help reduce air leakage. 2. One of the easiest ways to optimize your overall Keller home performance is researching and selecting high efficiency, green materials. Low-flush water systems, solar hot water systems and even small-scale geothermal energy systems along with various appliances can significantly slash energy consumption and your overall carbon footprint while maintaining a comfortable, enjoyable living space for you and your family. 3. Although many Keller homeowners might not realize it, a finished basement can make a noticeable impact on the overall performance of a home. While many North Texas homes do not have a basement, the majority of basements in older homes, and even in some newer homes, are often just poured concrete with bare walls and floors creating a cold, unwelcoming space that moisture can seep into very easily. Investing in spray foam insulation in an unfinished basement as well as throughout the entire home, ensures a greater level of comfort, moisture management and cost control. Spray foam insulation provides thermal insulating value as well as air sealing, meaning air leakage is significantly reduced allowing your HVAC equipment to perform optimally. Spray foam insulation both air-seals and insulates to stop air leakage from occurring, allowing Keller homeowners to reduce energy consumption, and effectively control their indoor environments. Place a wreath on your door, lay a new door mat, purchase a potted plant - all clean and clear to allow buyers to focus on your home without distraction. 2. 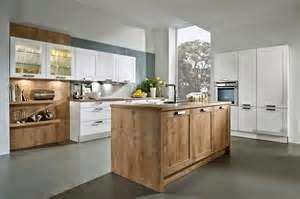 Give your home a major cleaning if needed. Clean your carpets, polish wood floors, scrub the tile. Keep the underfoot sparkling. Take out half of what is in each closet and cabinet and put it in mobile storage or boxed neatly in your garage, attic, etc. Buyers see possibilities in open areas. 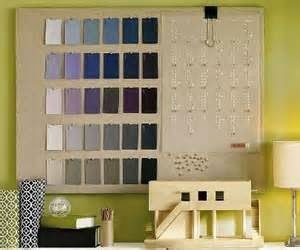 Create a fresh canvas for new owners with coat of natural paint colors throughout the home. Keep all outdoor furniture, toys, garbage cans, garden tools, etc. in their storage spaces, ensuring all outdoor areas are tidy and neat. Mow and edge the lawn, trim trees and bushes, plant a few colorful annuals and put down fresh mulch. Your Baths and kitchen should be spotless. Even if these rooms need updating, it’s vital to keep the area clean. This will give would be buyers peace of mind in case a big-ticket item should unexpectedly have problems. 9. Stage your home for professional listing photos. Always keep your home looking model-home ready. These professionals can represent your interests during the home selling and negotiating process. Home is where the heart is, and now thanks to home automation, it is also where technology thrives. More people want smart home features that let them control their spaces while increasing energy efficiency and cutting waste in their Keller home. In North Texas, the rapid growth of smart home technology is closely connected to the large number of people who own mobile devices. Today most American adults have a cellphone, many of those have a smartphone, and tablet & computer use are also prevalent by North Texans of all ages. 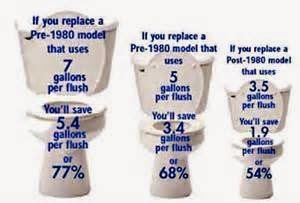 More people are aware of their water footprint and are taking steps to control H2O usage in their homes. Likely to Kramer’s dismay, Low-flow toilets and shower heads are a start, but technology is taking water usage and conservation to new levels. There are innovative water treatment systems enhanced by Wi-Fi technology. The systems soften and treat your water while monitoring water usage, letting you know when softener salt is needed and sends you alerts if potential issues are detected, such as a continuous water flow over a period of time or excess water usage above normal usage. 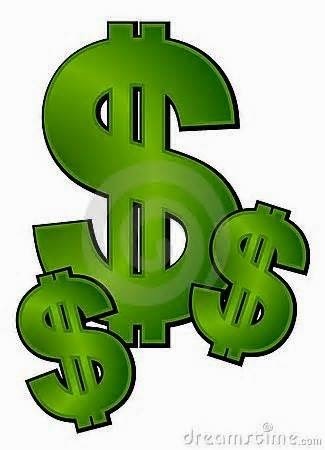 This allows you to make adjustments to save money on utility bills, plus provides peace of mind that problems can be corrected before expensive repairs are required on your Keller home. This is on top of the inherent savings water softeners provide in hard water areas, reducing the amount of soap and cleaning agents needed and saving on energy bills. Heating and cooling accounts for a good portion of the energy used in your Keller home. It’s no wonder North Texas homeowners want tech-savvy solutions to cut bills. Programmable thermostats are affordable and readily available, and when used correctly, they can save homeowners a significant amount of money per year in energy costs. Some smart thermostats even allow temperature adjustments to be made remotely from smartphones while providing energy statistics to help you control costs. Zoned heating and cooling systems are also gaining traction, meaning that you can heat or cool certain parts of the home based on where you spend the most time. For years, home security alarms consisted of sensors that detected break-ins and responded with loud sirens. 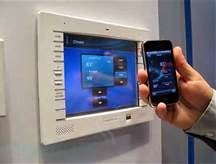 Today, security systems literally put a home’s safety and efficiency in the palm of your hand. Video cameras and alerts let you know when children arrive home from school or when packages are delivered. Fire alarms integrated into the system alert you of smoke, fires and the presence of carbon monoxide and other poisonous fumes. We live in a digital age and North Texas homeowners are starting to embrace smart home technology for everything from water treatment to home safety. The result? Homes are more efficient and secure, and homeowners are conserving natural resources while saving money on utility bills. Perhaps it’s time to hop on the bandwagon and consider intelligent improvements to your Keller home? There are definitely benefits – and you’ll have the smartest home on the block. 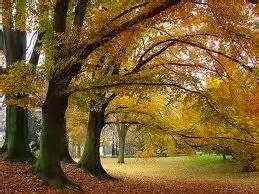 Though it has not arrived yet, the change of season creates a need for many adjustments around your Keller home, from switching over wardrobes to warmer clothes, to completing necessary yard work and home repairs. You can also make adjustments to ensure you get the most out of your heating and cooling dollars as temperatures change. When you consider the amount of energy expended on space heating during North Texas winters - and the effects that has on your energy bills - it makes sense to take steps to improve heating efficiency. Tackle this change-of-season checklist to help lower your Keller home energy costs now, before the long, cold winter sets in. An easy first step is to turn down the temperature on your thermostat, particularly while you’re away from home. You can save a significant amount on your heating and cooling bills by turning your thermostat back when your home is vacant. And, since fall temperatures can fluctuate quickly, from warm and balmy during one part of the day to cold and blustery during another, consider a programmable thermostat that you can adjust remotely as weather conditions change. 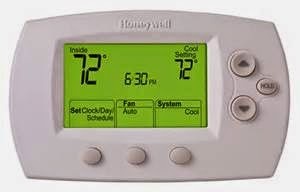 Certain Wi-Fi thermostats let you program seven days of temperatures, with up to six schedules per day, as well as monitor temperatures and make adjustments remotely from a smartphone, tablet or computer. Controls like this enable you to receive temperature alerts via text and email. You can even view system-generated charts to determine how much energy you’re using, so you can immediately make adjustments to save money. When your HVAC system circulates and filters the air in your Keller home, dust and dirt particles build up on the filter. Excessive accumulation can block the airflow, forcing the system to work harder to maintain the desired temperature. And the harder the system works, the more energy it uses. Your system will have to work less, use less energy and last longer if you clean or replace your filter monthly, or at least every three months. Small cracks and holes throughout your Keller home can be a source of heat loss. To help keep cold air out and warm air in, add weather-stripping around windows and doors. Consider adding insulation to your attic or crawl space. Even closing your drapes at night can help keep heat inside. Take some time to care for your outdoor HVAC unit, too. Clean off any fallen and decaying leaves from the fan grill so they won’t affect its operating efficiency. 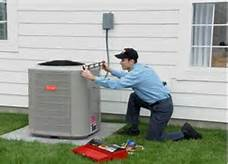 Now is an ideal time to schedule an annual servicing checkup for your heating and cooling system. A qualified North Texas dealer can inspect your system and recommend any adjustments to ensure it is working properly and make any necessary repairs. These steps will better prepare your home for the season change, and also keep your family more comfortable, no matter what the weather brings. So check off all the items on your list and watch those lower energy bills come in. 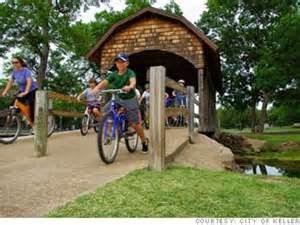 ZOOMtens and Scenic Texas has name Keller, TX was named the 5th best of ten cities in America to raise a family. The only other Texas city to make the list was Friendswood coming in 7th. Noted for the low crime rate, scenic landscape of trails and standard of education, Keller was also referred to as an, "idealized version of the perfect southern town to raise a happy, healthy, stable family." The application for Scenic Texas contained more than 70 criteria points focusing on standards including streetscaping, parks, trails, and more. Recognized for the continued protection of Keller's natural beauty and commitment to development, Scenic Texas awarded the city with the Gold Status - good through 2019 when the city will need to reapply. Have you considered a move to the 5th best place to raise a family? The Grove Team, Keller Williams is here to help! Whether it's selling your home or finding a new one, we have designed this site so that you can quickly and easily locate the information you are looking for. 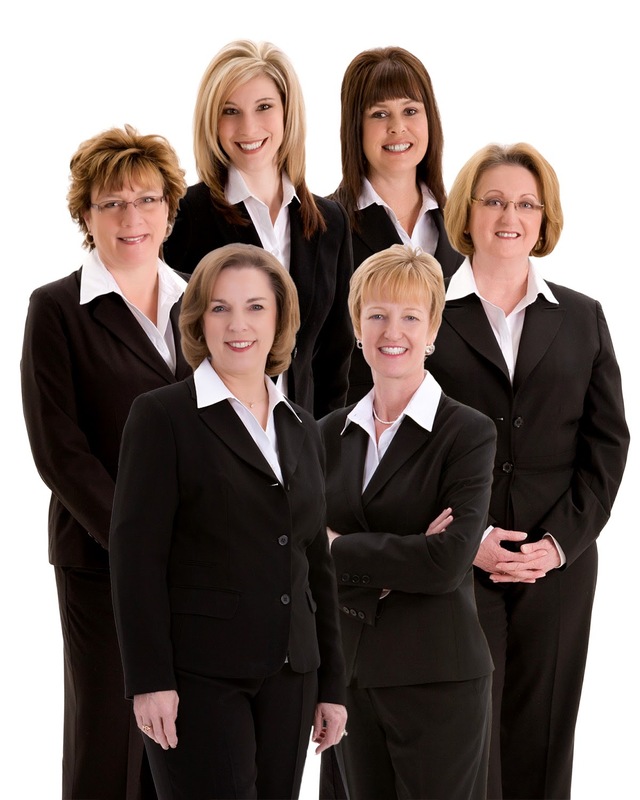 The Grove Team's client-centered approach results in the best possible outcome for you. Please contact us now to begin the process of achieving your dreams in home ownership. For many pests, including rodents, spiders and cockroaches, the change in season indicates the need to find shelter from the colder temperatures ahead. In some cases, this shelter can be your Keller home. In North Texas, fall pest-proofing is important to prevent pests from making their home in yours. Unwanted pests are more than a just nuisance in the home. They pose serious health and property threats as well. Rodents can gnaw through wires causing structural damage, putting homes at risk for fire. 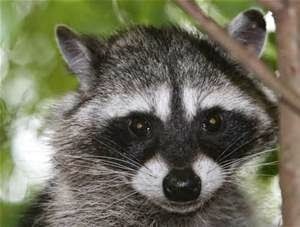 Rodents also can carry diseases such as salmonella and hantavirus. Rodents can also cause secondary infestations by bringing fleas, mites or ticks into homes. 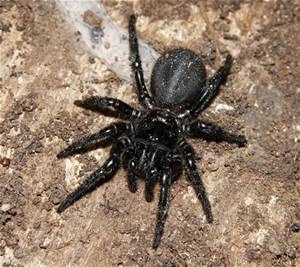 Other pests like cockroaches are known to trigger allergies and asthma symptoms - especially in young children - and some species of spiders, if disturbed, will bite in defense. 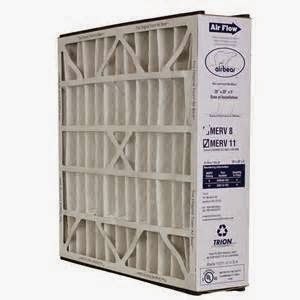 * Screen attic vents and openings to chimneys and any other areas where homes may be open to the outdoors. * Keep basements, attics and crawl spaces well ventilated and dry. Pests are attracted to areas of moisture, something they need to survive. Using dehumidifiers in basements and garages will help keep these areas dry. * Seal cracks and crevices. Don't forget about the outside of the home. Use caulk and steel wool to seal any potential entryways for pests. Pay close attention to where utility pipes enter the structure. Mice can fit through holes as small as the circumference of a dime. * Replace loose mortar and weather stripping around the home. These are easy ways to keep out not only pests, but also cold air. * Store firewood at least 20 feet away from the house and keep shrubbery in the yard trimmed back. Eliminating areas where pests can hide near your home can reduce the chance of them finding a way inside. * Have a proper outdoor drainage system. Installing gutters or repairing an existing system will help draw water and moisture away from your home, preventing any leaks or build up that might attract pests. * Work with a pest professional. The best way to protect against a pest infestation in your home is early prevention by following these pest-proofing tips. However, if you suspect an infestation in your home, contact a licensed North Texas pest professional to treat the problem.